There will be no snowflakes falling in the Land of Snow this holiday season in Alexandria. 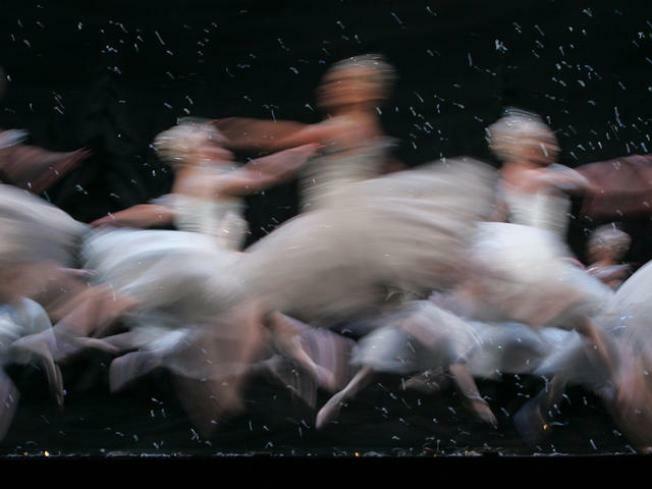 Don't look for the Sugar Plum Fairy to come twirling around Alexandria this Christmas. After 19 years of featuring The Nutcracker, the Alexandria Ballet has had to cancel this year's performance. In the past, Virginia Britton, owner and artistic director of the ballet, has been able to count on the kindness of "angels" to donate the $25,000 price tag of the seasonal favorite, according to the Alexandria Gazette Packet. Ticket sales would likely take care of the expenses for the professional dancers, but Britton needs to cover the cost of renting the studio for rehearsals and performances, which need to be paid up-front. But it's not too late, angels! According to Britton, "if a large amount of money did come in at once," she could salvage the seasonal favorite. "Most of the performers have danced it before," she told the Gazette Packet. "Everything’s done except rehearsal for the young children in her classes who haven’t performed it yet." So if there's anyone out there who can help Britton and her dancers, let them know at 703-568-4425 or www.thealexandriaballet.com. We'll be waiting to hear a bell ring.